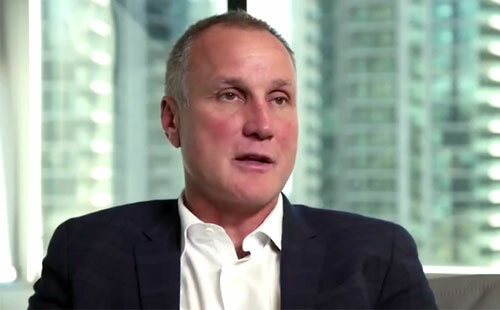 Paul Coffey is a former NHL hockey defenceman who played for the Edmonton Oilers from 1980–1987, the Pittsburgh Penguins from 1987–1992, the Los Angeles Kings from 1991–1993, the Detroit Red Wings from 1992–1996, the Hartford Whalers and the Philadelphia Flyers from 1996–1997, the Chicago Blackhawks from 1998–1999, the Carolina Hurricanes from 1998–2000 and the Boston Bruins from 2000-2001. Coffey is a four-time Stanley Cup champion for 1984, 1985, 1987 (with the Edmonton Oilers) and 1991 (with the Pittsburgh Penguins). He was a three-time winner of the James Norris Memorial Trophy for 1984–85, 1985–86 and 1994–95 plus he was a fourteen-time NHL All-Star for 1982, 1983, 1984, 1985, 1986, 1988, 1989, 1990, 1991, 1992, 1993, 1994, 1996 and 1997. The Edmonton Oilers retired his number 7 in 2005 plus he was inducted into the Hockey Hall of Fame in 2004. PFP Sports Talent Agency is a top booking agent for motivational sports speakers and sports personalities. If you would like to book NHL stars like Paul Coffey for a speaking engagement, personal appearance or special event, you can request Paul Coffey agent and speaker information from PFP Sports Talent Agency or call 800.966.1380.